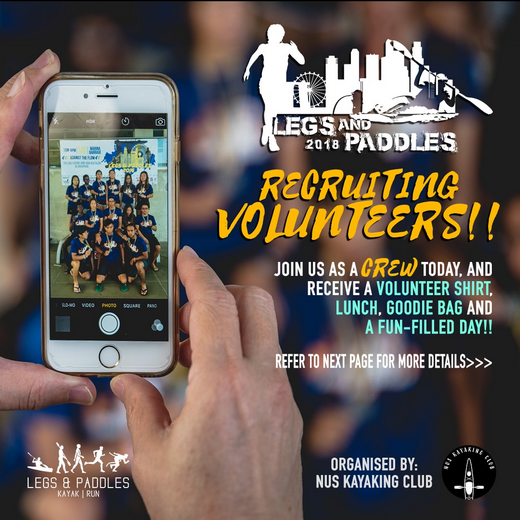 NUS Legs & Paddles 2018 is first and only kayaking biathlon in Singapore, comprising of kayaking and running segments at Marina Reservoir. It is the It will be held on 17th June 2016 (Sunday) from 8.00am to 5.00pm and there will be approximately 288 participants. 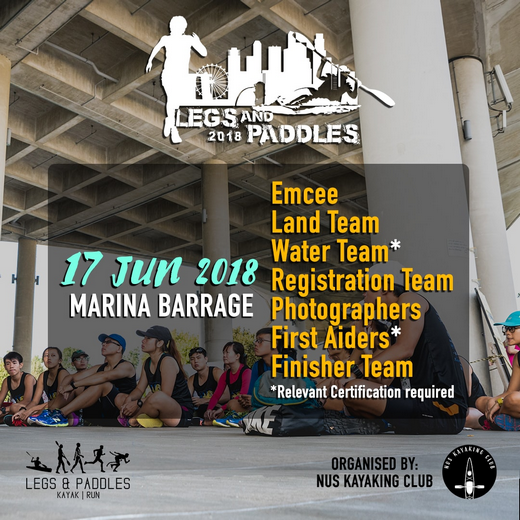 The starting and ending points will be at Marina Barrage Water Playground and the event will begin with the kayaking portion followed by the running portion. Road marshal volunteers are welcome to join the event. All volunteers are entitled to attractive incentives on the day itself.